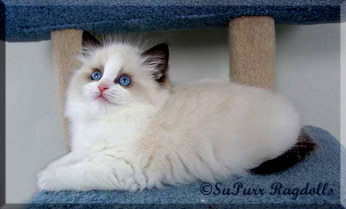 SuPurr Ragdolls Splendor is a wonderful, friendly, outgoing girl who loved going to shows. 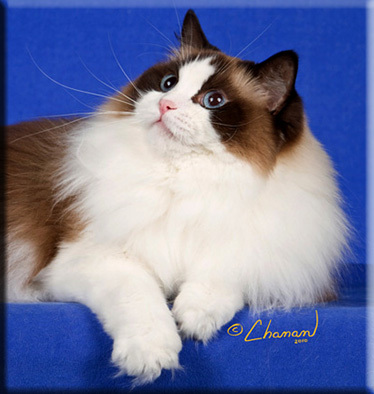 She was CFA Region 4's Third Best Ragdoll Champion and 24th out of 100 internationally. 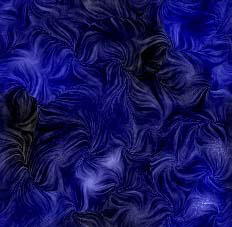 Her lines will be carried on through her daughters and granddaughters. 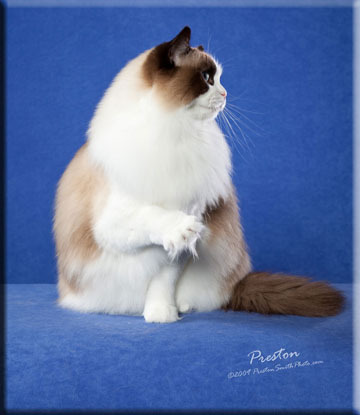 Splendor was taken back out to the shows as a spayed female and earned her CFA Grand Premier title and Regional Winner and in 2011 became a TICA Supreme Grand Champion Alter!